It is the goal of Green Options LLC to serve the Triad by reducing post consumer waste and eliminating landfill accumulation by gathering, receiving and ultimately recycling carpet and carpet padding. We are proud to boast that we can recycle as much as 66% of all carpet and 100% of all padding! 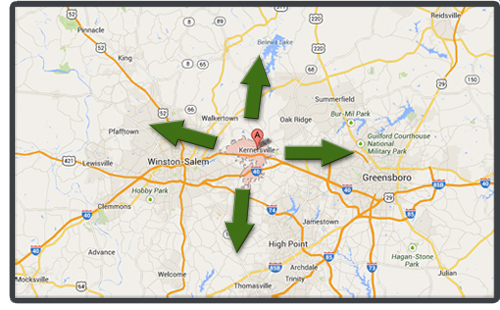 Located in the heart of the North Carolina Triad, Green Options LLC diligently serves Greensboro, Winston Salem, and High Point as well as the cities in Davidson County, Forsyth County, Guilford County, Randolph County, and the surrounding areas. Please contact us to let us know how we can assist your company with more options in making our planet a greener place.